Home » English posts » Beauty Tips: Can You Squeeze Acne In The Face? Beauty Tips: Can You Squeeze Acne In The Face? Having a clean face and without having any pimples, is dreamed of by everyone, however, not everyone will be lucky and some of you will face acne problems in advance. The little acne in your face, maybe you can still take care of it, but what if acne in advance grows up a lot? Acne is a problem for many people and it is a normal thing for us. Acne usually occurs when you are growing up. Before we know more about this topic, it is best to know, the cause of acne arises in our face. When the occurrence of hormonal changes in our body, such as menstruation, adolescent puberty, menopause, and pregnant. Unpredictable weather and hot weather will cause acne to appear on your face. Dirty, messy, smoggy environment of the plant will cause skin problems and acne on your face. Physical stress, emotional stress can cause acne in our face. Frequent intake of oily foods will cause acne. For example, you often eat fried foods every day, this habit will cause some people to have acne problems. Sometimes for some women, when they get beauty products for facials such as powder, facial cleanser, makeup, and when this product is not suitable it will cause allergies on their face and this will also cause acne. You already know how acne arises in your face and the factors that cause it. Well, let's find out the effects that may arise if you squeeze the acne in your face. Did you know, squeezing acne in advance should have special equipment to do this work and the equipment should be sterilized to prevent infection in your face? If you squeeze acne with your fingers, it's likely that acne in your face will become more serious injuries because your hands are not sterilized and this is the reason for infection in the wound on acne. The effect of squeezing acne will also cause changes in the skin of the face where the acne is squeezed. Your skin becomes blackish because of acne scars that are squeezed and this will take a long time to make skin color return to normal color. For women, the hardest thing to cover makeup other than acne is soreness on the face. You should think about this effect before squeezing the acne on your face. 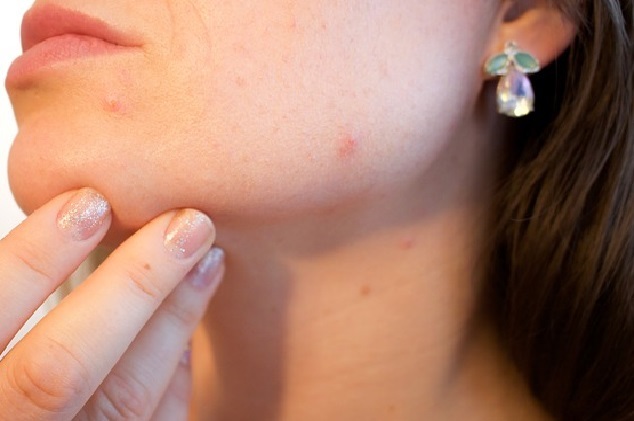 If you often squeeze the acne on your face, the condition may get worse and things that we do not want to happen, are the happening of inflammation in your face and the worst thing, bacteria will spread around the acne on your face. The Best advice to you, be careful when squeezing acne on your face and use sterile equipment. If acne in your face is too much, maybe you can get treatment for a qualified healthcare professional.